You are here: Home / Press / News / Goodbye, Watts. Hello, LUMENS! So, all I wanted to do was to find a light bright enough for my bathroom so I don’t get cut shaving in the morning. I realized that the best way to shop for light was to look for the brightness, or lumens, of the bulb, instead of the watts. Lumens tell you how bright a bulb is, and are listed on the bulb packaging. More lumens mean brighter light. When replacing a 60-watt traditional bulb, you should look for a new bulb that gives you about 800 lumens. 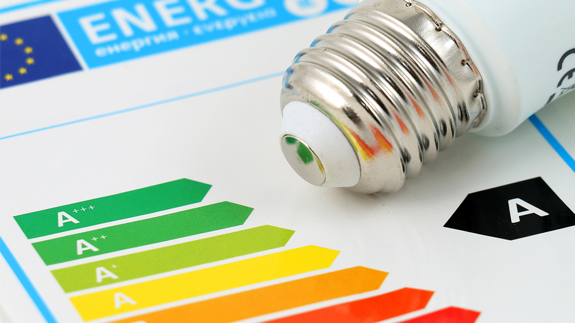 The Energy Department has some informative resources to educate consumers on lumens. For example, check out our lumens placard and tip card. Or listen to some of our radio public service announcements. We have recently launched a billboard campaign effort to raise awareness of lumens in Nashville, Tennessee; Atlanta, Georgia; Phoenix, Arizona; Miami, Florida; Denver, Colorado; St. Louis, Missouri; Detroit, Michigan; and Milwaukee, Wisconsin—so be sure to look out for it if you’re driving by those cities. So, the next time you find yourself looking to replace your traditional incandescent with an energy efficient bulb, choose your next light bulb for the brightness you want and look for lumens—the new way to shop for light. As for me? After looking for lumens instead of watts, I found an LED bulb for my bathroom that was about 800 lumens. The light quality was great for the bathroom, the color was warm white, and my electricity bill has gone down a lot compared to using the traditional incandescent.